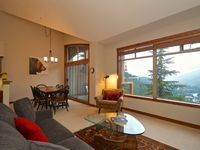 Property 61: Bright Spacious 2 BR 2BA Corner Townhouse in Blackcomb Benchlands! Taluswood The Ridge 19- TRUE SKI IN/OUT - Mountain Views - Private Hot Tub! Property 66: Taluswood The Ridge 19- TRUE SKI IN/OUT - Mountain Views - Private Hot Tub! Spacious Ski-in Townhome in Upper Village, Private Hot Tub - Bring Your Dog! Property 71: Spacious Ski-in Townhome in Upper Village, Private Hot Tub - Bring Your Dog! Property 76: UPPER VILLAGE with HEATED floors. Perfect sized property for a Family! BRAND NEW RENO Dec 2018 VILLAGE NORTH. Private + Cozy Unit steps away from EVERYTHING you need. Property 77: BRAND NEW RENO Dec 2018 VILLAGE NORTH. Private + Cozy Unit steps away from EVERYTHING you need. Very Attractive Large Condo. Excellent Location. Must See! Property 80: Very Attractive Large Condo. Excellent Location. Must See! Stunning fully remodeled family townhouse. 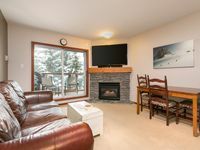 Creekside location 5 minute walk to ski path. Property 81: Stunning fully remodeled family townhouse. Creekside location 5 minute walk to ski path. Gorgeous 2 Bed, Sleeps 6, Fully Renovated, Village location! Property 84: Gorgeous 2 Bed, Sleeps 6, Fully Renovated, Village location! Luxury 4 Bedroom, Woodland setting, Ski Home! Hot Tub, Free Shuttle! Property 86: Luxury 4 Bedroom, Woodland setting, Ski Home! Hot Tub, Free Shuttle! #7 Fitzsimmons Walk Luxury Townhome, 4 Beds, 3 Baths Private Hot Tub & Views! Property 89: #7 Fitzsimmons Walk Luxury Townhome, 4 Beds, 3 Baths Private Hot Tub & Views! Heart of Whistler Village. Walk to everything. Newly renovated. Property 92: Heart of Whistler Village. Walk to everything. Newly renovated. Spacious and great for the family. Close to the ski in and out area but you would still have to walk a ways down the road to access the entry point. Rating Details: The property manager was more than helpful. The vacation rental was spotless. I was very happy with the location. I was very satisfied with the condition of the vacation rental. Overall, I recommend this vacation rental. Reviewer Comments: Excellent location, clean, great instructions provided to load luggage, enter the unit and access to the parking garage. Very short walk to a full grocery store. Walking distance to everything in the village.